For finding the correct case, please Check Your Model Number A1xxx on the bottom of your MacBook, it's the most specific code for your MacBook model. Make sure the model number of your MacBook is compatibal with the case before purchasing. Every New MacBook Pro 13 case comes with 2 pieces, top & bottom case. Plastic Hard Case Shell and frosting humanized design will protects your MacBook from accidental hard knocks and scratches andmake you feel to be more comfortable. 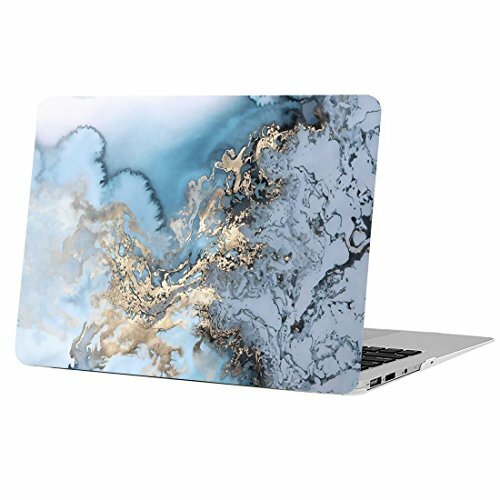 Images on this Pro 13 inch protective case is high definition that make your Mac Pro 13" laptop looks marvelous, even after using for a long time. Plug your charger, cable or headset without removing the case, so they perfectly fit the 2016/2017/2018 release 13 inches MacBook Pro and provide a stunning look! Funut, a unique and quality product within your reach. This 2016/2017/2018 release MacBook Pro 13 inch case will NOT FIT 2012-2015 version Pro retina 13,NO CD-ROM (Model: A1502/1425) / 2010-2012 version Pro 13 inch with CD-ROM Drive (Model: A1278). ONLY FIT - 2016/2017/2018 Release New MacBook Pro 13.3 inch, NO CD-ROM Drive, with Retina (Model: A1706 with Touch Bar & Touch ID and A1708 without Touch Bar & Touch ID), PLEASE CHECK YOUR MacBook MODEL NUMBER A1xxx BEFORE PURCHASE. ANTI-SLIP FEET keep your A1706 A1708 2017 MacBook Pro 13 inch laptop stable and secure. Bottom Shell Case Cover vented for maximum heat dissipation and disbursement. 2016/2017/2018 Release MacBook Pro 13 with / without Touch Bar Dimension: 11.97 x 8.36 x 0.59 inch, Case Dimension: 11.98 x 8.4 x 0.6 inch. If you have any questions about this product by Funut, contact us by completing and submitting the form below. If you are looking for a specif part number, please include it with your message.